Pep Guardiola's progression at Manchester City has been halted due to poor miss-management of players as the club has tied down a number of average players for an obscene amount of money. Under Manuel Pellegrini and Roberto Mancini, the City chiefs opted to secure the long-term futures of some major players by offering the stars of then enormous wages over an extended period of time to remain at the club. Ultimately, that has proved to be one of the biggest problems for Pep Guardiola to face in charge of Manchester City to date, with him being unable to offload the average stars for players proven of competing for the continent's highest honours. 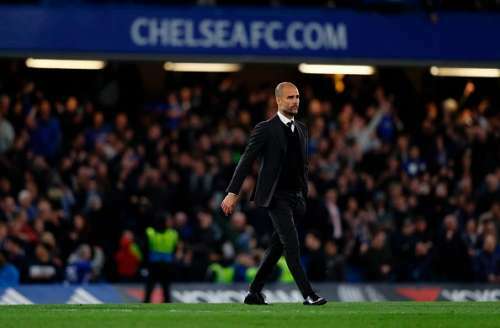 Much was made of Guardiola's high-profile move to the Premier League as the Spaniard infamously had a six-month build up before he took charge at the Etihad Stadium. Experts, players, managers and the media, in general, all naively expected Guardiola to arrive at City and change the complexity surrounding this club with an ageing squad. However, it shouldn't come as a surprise when this City side is once again struggling to secure a top-four finish for the second consecutive season. The supporters have had to endure another season of promise in September only to be widely disappointed and counting down the days to the season end by March or April. The reason for City's somewhat downfall is two things. One factor being the squad is in transition with the hierarchy attempting to offload the majority of Roberto Mancini's and Manuel Pellegrini's title-winning sides. Too many players are currently at the club despite being light years away from replicating their best form or being capable of competing at the highest level. Secondly, and more significantly, as City attempt to offload these average stars, the club are struggling to find a potential buyer as many have regressed so much in a short space of time, that teams want these players at a bargain price - such as Yaya Toure, Aleksandar Kolarov and Eliaquim Mangala. But what does that mean for Guardiola? It's simple really. The former Barcelona manager now requires fringe players such as Gael Clichy, Fernando, and Bacary Sagna sold onwards for him to be able to achieve what the club's owners not only demand but also expect from the Spaniard. The argument will remain that Guardiola either needs money to succeed or else be handed a squad brimmed full of talent. And neither are the case. You have to be incredibly ignorant to suggest such a thing as the Spaniard has proven time and time again his forward-thinking is his greatest asset and the manager is a genius in many elements of management. So, as a genius, would people have asked Pablo Picasso to paint with damaged tools? Unlike Antonio Conte who has delivered success immediately, Guardiola entered into English football with a far weakened squad of players than Conte had when arriving in London to take charge of Chelsea. Conte, in fact, had to restore confidence to an incredibly talented team with the majority of players in the prime years of their career - that's not taking away anything from his expected title victory. Guardiola, however, on the hand, walked into a squad of players whose best years were behind them. Not only this, star forward Sergio Aguero has looked a player short on confidence over the past two years - long before Guardiola arrived in England - and in desperate need of a fresh challenge. At the back, City have been disastrous in the transfer market. Nicolas Otamendi, Eliaquim Mangala, and Martin Demichelis were some of the players signed in recent years to compete at the highest level. Would Bayern Munich have signed any of these players under Guardiola? Not only this, the Catalonian was handed a squad with four full-backs all over the age of 30. In the modern game, the wide players have become imperative to any successful side as finding the balance between attack and defence needs a balance - something none of the four can bring. Related: Is Manchester City targget Pierre-Emerick Aubemeyang really the most overrated striker in Europe right now? Also, with Ilkay Gundogan suffering a long-term injury in December, Guardiola was forced to rely on the 'old guard' of Yaya Toure, Fernandinho and in smaller significance, Fernando. None of whom could be seen as a Guardiola player - Fernandinho proving that in 2017 alone. There's no denying Guardiola has made mistakes during his time in England. The majority of fans would agree his stance with Joe Hart was wrong, but wrong only because the failings of Claudio Bravo have proven so damaging to the side's defensive woes. Had Guardiola signed Marc-Andre Ter Stegen like he desperately demanded, would City be pushing Chelsea for the Premier League title? Who knows, but ultimately the mistakes and failings of previous managers and the club's chiefs to tying down players to long-term deals have proven costly to Guardiola's first season progression. Could Manchester City win the quadruple?